Young hero, Naga Shourya made a solid comeback with the hit film Chalo. Now, he is once again ready to test his luck with a new film called Nartanasala. 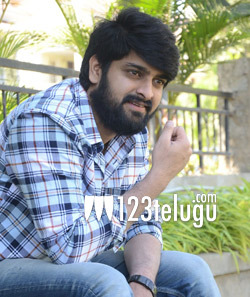 The film is ready for release and Naga Shourya is promoting it quite extensively all over. When asked about why is he only working with new directors off late, Shourya said that new directors have the fear of failure and give hundred percent in their approach. He also added that he feels very comfortable working with them and doesn’t mind asking them any doubts regarding the film. Naratanasala is directed by debutante Srinivas.